I have Raspberry Pi 2 Model B v1.1 (NOOBS v1.4.2 Raspbian loaded), and I installed WebIOPi 0.7.1 to use it in order to blink a LED on attached to GPIO24 and GND by WebIOPi page. 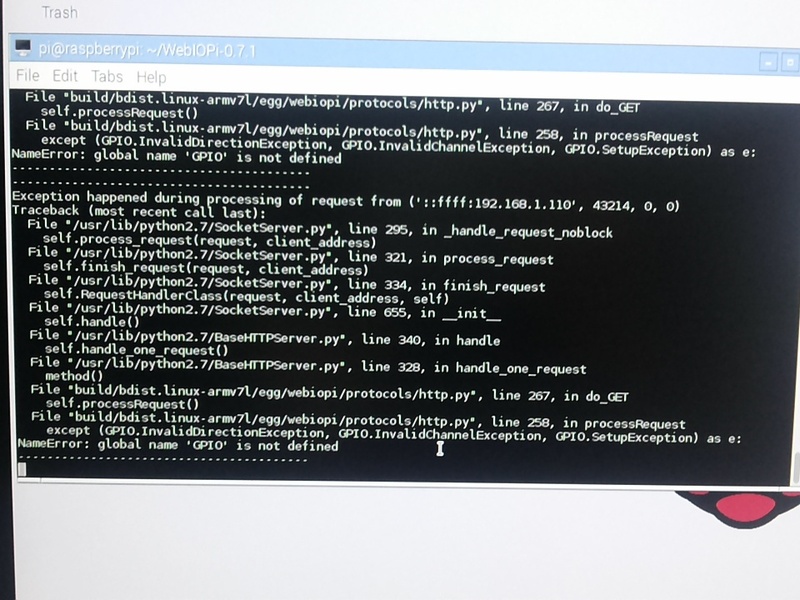 From the instructions and screendumps it looks like you are using a Python3 version of RPi.GPIO, but the output of WebIOPi shows it is using Python2.7. Python2 and Python3 are NOT compatible with eachother. You will need to look for a Python2 version of RPi.GPIO such as this one. This package should have been installed by default on Raspbian, but if it didn't or if you messed it up, you can reinstall it by issuing sudo apt-get install python-rpi.gpio. UPDATE: For Installation patches on an RPI2, please check out this WebIOPi forum thread with a link to a patch that makes WebIOPi work on B+ and 2B. Then, you will see automatically named Weaved Backend Service name as an alias in order to call you with this name to recognize. Go to your new Weaved.com website page, sign in with your new ID and Password, click on my services and click on the name that we have already given it as an alias. I had the exact same problem. Running the WebIOPi with python3 instead of python solved it immediately. (I even had the server page open in a browser and as soon as I ran the right command all the "IN" and "OUT" indicators filled themselves in next to the pins). Not the answer you're looking for? 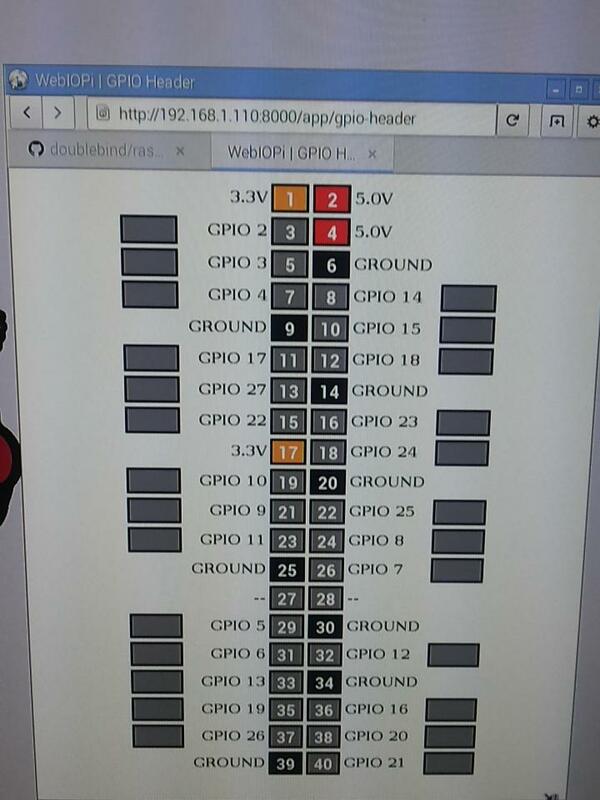 Browse other questions tagged raspbian gpio rpi.gpio webiopi or ask your own question.